The Optimus Mini Three Keyboard (£130 inc. VAT) uses customisable hotkeys to make software access easier than ever. 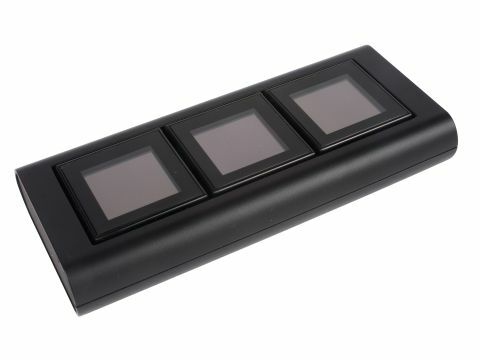 Quick to set up, it's ideal for controlling your favourite programs using its full-colour animated buttons. Connected by USB, the keyboard is automatically configured for common Windows and Mac software, such as media players, internet browsers and Apple's iTunes. Each button can be assigned a task and can be used as an extra quick launch bar alongside your keyboard and mouse. Fully customisable, free plug-ins increase support for popular software applications. Although expensive for what it is, this is a novel concept and a stylish toy to add to your laptop.